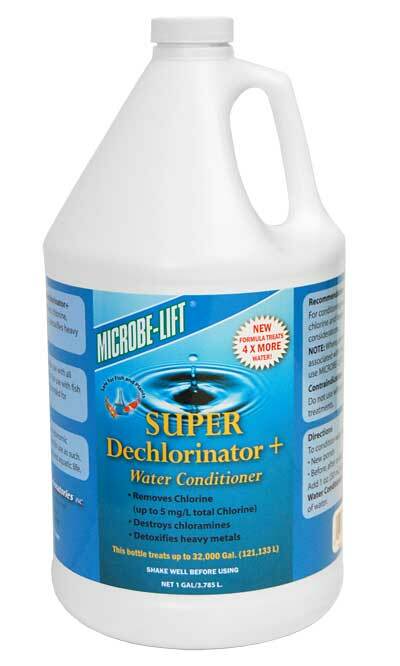 Keep your pond free of dangerous levels of chlorine and chloramine with Microbe-Lift Dechlorinator Plus. Concentrated for maximum results in water conditioning, this compound instantly neutralizes chlorine, chloramine, and chlorine dioxide. Dechlorinator plus is also capable of breaking the chloramine bond without destroying the beneficial oxygen remnant as other dechlorinating liquids may. Use Microbe-Lift Dechlorinator Plus with your regular and partial water changes and replacements for a healthy pond year round. Made in the USA. Availability: 25 in Stock. Ships from OH within 24 business hours , 25 available at this price! CareFree Pond Chlorine Destroyer, 16 oz.